*Watch out for the speed cameras in and around Bradford!! I have purposely only gone for 3 workshops this time so there is more time to drill and roll. It is not often that there are so many black belts and brown belts at any one time so a perfect opportunity for anyone that doesn't regularly roll with higher grades to get schooled. Lots in store on the day, going to be EPIC! I often hear that chess and jiu jitsu are similar. In one respect they are not; in chess you get a move each in turn, not simultaneously, in chess you get time to consider your next move whereas in jiu jitsu if you stop to consider a move, you get killed! There are similarities in each game that are worthy of study. Of course, both are games of strategy, of in game tactics and ultimately submitting the opponent. Chess, as jiu jitsu, I see as being a game of 3 distinct sections. In both, you need a strong opening, a middle game and the end game. You need a well drilled opening then a middle game that causes chaos for your opponent then you are in for the kill in the end game. The middle and the end are full of tactics and in-fight decision making but, for me, the opening is key to getting you ahead. You don't want the early part of the match to be playing catch up. 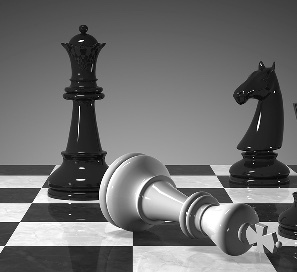 If you walk up to a game of chess knowing that your opening is a classic pawn to king 4, you have a well drilled considered opening but I see in a lot of cases where people enter jiu jitsu matches with no clear opening strategy and are just going to "see what happens" or "go with the flow". I don't this this is the best strategy, immediately you are reactive rather than proactive. If your game plan is to start strong, get your preferred grips and then either throw, take down or pull guard, you are getting to where you want to be to get the rest of your game going. If you just wait and see, then who knows! Sometimes things don't go your way and your opponent has a stronger opening than you, that's just one of those things, we all experience that at some point. So, in conclusion, if you are one of those people that doesn't have a pre-determined game or just want to wait and see what you are given, I would strongly advise having an opening gambit, however small it may be, maybe just get your grips then I believe you are putting yourself in the strongest position possible to help you chase victory. Coming next, the chaotic middle game and the critical path.